ZERO9 is the one-stop shop for mastery and finesse in design services. Our area of expertise spans across advertising, exhibitions, architecture and interiors for commercial & residential projects. We believe in an evolving and long lasting relationship with the people we connect. We place our client’s virtuous sense and taste as the focus of our works. Our sensitivities translate the client needs to reality by using innovative and state of art mediums like digital art, photography, new-age technology and material analysis. Each of our projects with a unique style has a story to tell. Our multi-faceted and experienced team-pool consists of architects, interior designers, exhibition designers, graphic designers, product designers, project managers, web designers,web programmers, photographers and copy writers, thus infusing a fresh versatility to every project we undertake. Inspired by life, we intend to generate a sense of opulence in every work we do. We undertake all Interior Designing, Architecture and Landscaping Projects. 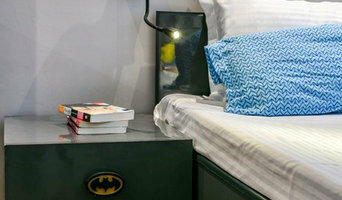 This involves conceptualising, designing, planning, material selection, furnishing choices and selecting accessories too. Design and Execution of the project are our responsibility completely. We take turnkey projects too. 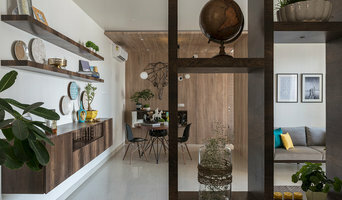 Interior and Furniture design studio based out of Bangalore, India. Focused on handcrafting spaces that standout by creating fresh and out of the box designs, every single time. That means we dont restrict our designs to pre-defined templates, a library of mundane designs or limited furniture options. 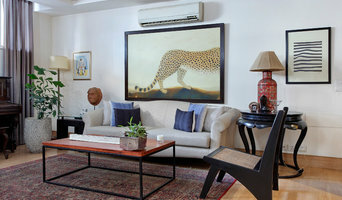 Every single home is deeply rooted in design and crafted from a blank canvas. We also design and manufacture wow-worthy furniture and decor to set apart the spaces we craft. With inhouse execution supervised by the very designers who design the space, we also ensure the highest adherance to quality. Get in touch to experience the boutique and fully personalised design experience that we offer! 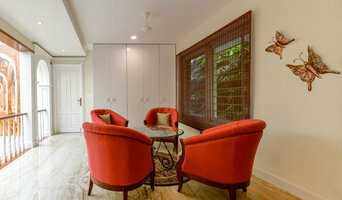 We are a Delhi and Chennai-based design practice focusing on creating beautiful, livable spaces tailored to our clients' tastes and lifestyle. We develop and implement contextual, user-centric and out-of-the-ordinary design solutions across the domains of interior architecture, architecture, urban design and spatial branding.